Pakistan’s masters of reverse-swinging a cricket ball have unanimously defended it as an “art” which can be achieved without the tampering that ended in shameful bans for three Australian players. Steve Smith had to step down as Australia captain and David Warner as vice-captain after they orchestrated ball-tampering through batsman Cameron Bancroft in the Cape Town Test against South Africa last week. Bancroft was found to have used a piece of sandpaper in an attempt to alter the condition of the ball while on the field to create swing for Australia’s bowlers and deceive the South African batsmen. Cricket Australia came down hard, handing a one-year ban each to Smith and Warner and nine months to Bancroft for sullying the country’s sporting image. 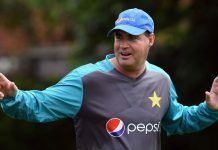 In Pakistan, an internet meme swept social media appearing to show legendary pacemen Imran Khan, Wasim Akram and Waqar Younis smiling over the incident — with a caption that accused the Australians of being “amateurs” in their efforts to create the reverse swing. 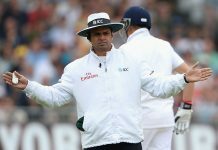 Former Pakistan fast bowler Sarfraz Nawaz — widely regarded as a pioneer of reverse swing — refused to accept the implication that the skill requires ball-tampering. “This is ridiculous to say reverse swing is cheating,” Sarfraz told AFP. “You can achieve reverse swing without tampering with the ball. 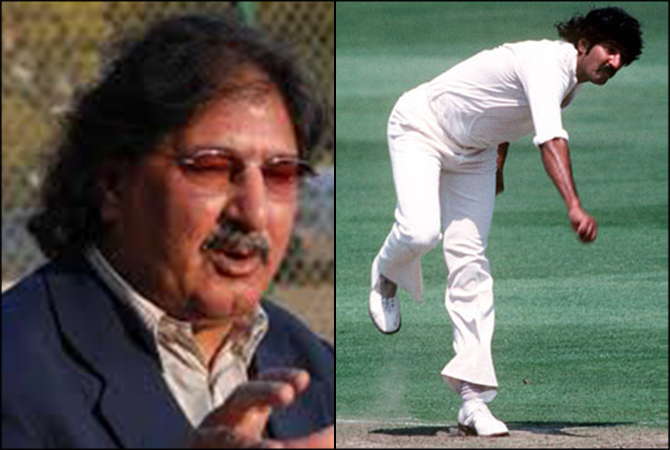 Sarfraz took 177 wickets in 55 Tests, including an amazing nine for 86 against Australia at Melbourne in 1979 that included a spell of seven wickets for a mere one run in 33 balls. “When I passed the art to Imran Khan he developed it and then taught Wasim Akram and Waqar Younis, and in those times everyone called it cheating but when the Englishmen started to reverse swing it became an art,” said Sarfraz. 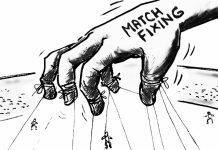 “It was and will remain an art, but resorting to tampering is cheating and that was what Australians did to beat South Africa and were deservedly punished. Sarfraz passed the art to Imran, who achieved more success than his master but also confessed to ball-tampering by using a bottle top to roughen one side of the ball. Asked in a 1994 television interview whether he would have got 362 Test wickets had he not tampered with the ball, Imran replied: “Yes, it’s a misconception that whoever scratches the ball can get wickets. “The whole Sussex team knew I could reverse swing and I would swing at one end while other bowlers could not swing it,” said Imran, who played for the English county. 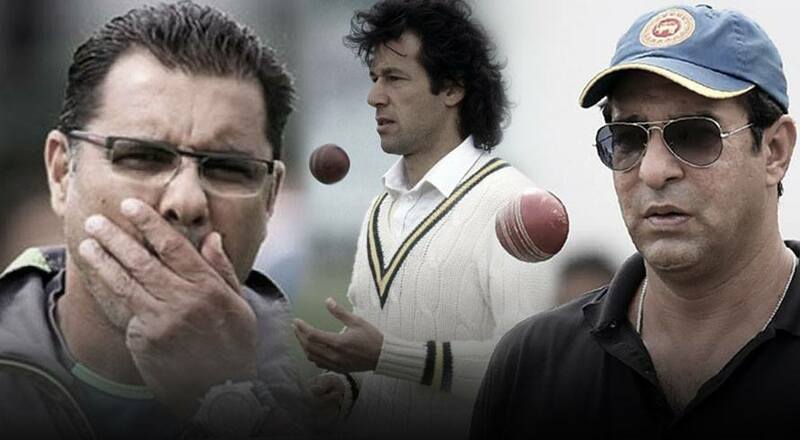 Imran passed the torch to Wasim and Waqar — regarded as one of international cricket’s most destructive new-ball pairings. The two ripped through England’s batsmen on Pakistan’s 1992 tour, but were also alleged by British media to have tampered with the ball. Wasim excelled for English county Lancashire for a decade while Waqar starred for Glamorgan and Surrey. While Wasim — nicknamed the “Sultan of Swing” — was never caught tampering, Waqar was slapped with a one-match suspension and fined 50 percent of his match fee in a tri-series in Sri Lanka in 2000. Waqar suggested only one brand of cricket ball should be used in international cricket, saying it would lead to a fairer contest. “Why do we use a different brand of balls in different countries?” Waqar asked. “In my opinion, the Duke ball is the best and the SG comes close to it. They are the best balls for swing so in order to have uniformity and better swing, these balls should be used everywhere.